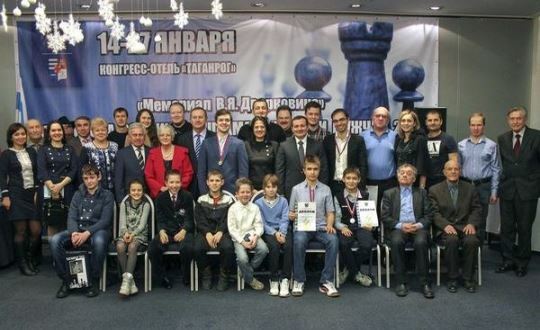 The 2015 Vladimir Dvorkovich Memorial, stage of the Russian Chess Cup Men 2015, was held from 18-26th January, 2015, at the Congress Hotel in Taganrog, Russia. The 9-round Swiss tournament gathered 82 players from Armenia, Spain, Kazakhstan, Ukraine and Russia. Among them were 21 Grandmasters. The total prize fund was RUB 1,2 million. Talented junior Vladimir Fedoseev emerged clear winner with 7,5/9 points, leaving the second placed GM Aleksandr Shimanov half a point behind. Full standings below. The 20-years old Fedoseev is currently ranked 3rd on the FIDE list of top juniors. 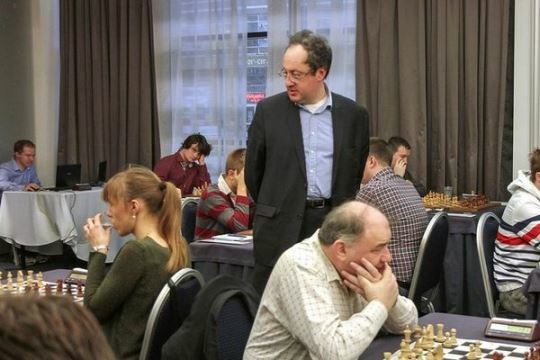 Former World Vice-Champion Boris Gelfand visited the event.